Important! Remember to backup critical data before proceeding. 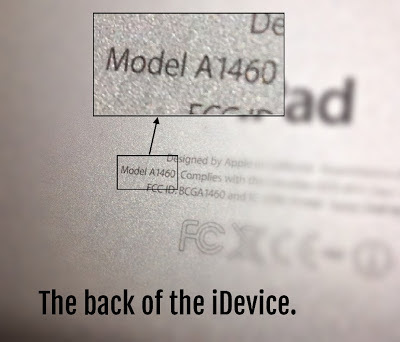 Make sure that you know the model code of your device. Have a look at the back of your iDevice (iPad, iPod, iPhone) for the model code. The corresponding link will be the .ipsw file that you will be downloading. You do not need a UDID to install iOS 7 Beta 1. All of your data will be retained once you update to iOS 7 Beta 2, just like a regular update.. Your apps WILL auto-update if you leave it as-is, so if you do have some modifications made to any of your app's files (back in iOS5), be prepared to lose them, or quickly disable auto-update from the settings menu. A cool and sleek multitask ui. Apple latest operating system, iOS 7, contains many new features and functionality that mimic android, while still retaining the core "Apple" user experience. iOS 7 contains many new features that far surpass iOS 6 as a smartphone, including some listed above. These functions make iOS 7 worth it to update to, and though some apps like Skype and Kik will crash; Facebook, Twitter and other social media apps will still work and run smoothly. iOS 7 is free to update provided that you have the .ipsw firmware and software, which usually requires an Apple developer account to download. These links are provided in good faith, however, as iOS 7 is current buggy and filled with exploits, but is still overall usable as a consumer mobile OS, despite being beta. During the use of iOS 7 Beta 1, your phone may crash a little, but typically it is an resilient OS that can withstand most crashes and always "resprings" after a bad crash, making it a lot more functional and resilient then android. However, through gradual use, the OS actually warms up and becomes stable, crashing once a week (if you're too fast for the device), instead of 3 times per day... iOS 7 Beta 2 also seems a lot more stable then iOS Beta 1. The live wallpaper (both lock screen and home screen), only works on iPhone 4S and newer, hence showing signs that iPhone 4 support is slowly being dropped. The iOS 7 install process is smooth, and seamless, as mentioned above, making it quite a pleasant experience for users of iOS 6. The colour design, icons and other visual effects may seem alienated to users new to iOS 7, but nevertheless, it still retains the old Apple user experience of previous iOS versions, making it easy and simple to pick up and learn..
iOS 7 is linked and provided as a free download on this blog with good intentions, iOS 7 contains many features that help users and as mentioned many times before is worth to update to if you love your iPhone and use it a lot. iOS 7 beta is currently so new that it hasn't been released yet, so be ahead of everyone when it comes to technology! iOS 7 is definitely worth the upgrade (if you've prepared properly). Mega is a new, fast and reliable way to download files, it uses the https protocol of encryption along with state of the art encryption code to keep any data that you download confidential, hence being the "privacy company". Other filehosters lack the degree of service, features and protection that Mega offers. It provides a much faster and convenient download then rapidshare, mediafire, extabit, rapidgator and turbobit. Which makes Mega a stand-out choice amongst a large variety of filesharing websites. That and coupled with the high-speed downloads (where very high speeds can be achieved) make Mega not only a winner, but one of the best filehosters out there. Its launch only a few months ago truly shows how the days of filesharing sites such as Megaupload are now long gone, and sites such as Mega and Dropbox will prevail. Disclaimer: I am not responsible for anything that you do with the operating system, or if issues occur (which there will be). iOS 7 Beta 2 works for iPhone 4 as well!